For most of those systems, you still have to keep the data around. And so finding ways to cost-effectively archive old system data is going to become a bigger and bigger issue for organizations. We actually have 12 different advisory councils, which sounds like a lot, but actually it works very well to have those advisory councils prioritizing based upon their unique areas. I felt this was a great opportunity to be a leader and be part of a leadership group in this space and be able to do some highly innovative things that could help lead the industry. Our dean has an IT bent to him as well where he sees this huge opportunity to blend clinical research aspects down to the bedside. It’s pretty rare that you get such focused leaders and such a tight embrace of IT into the business. Gamble: Being an academic medical center and having a large research component, I would imagine that data management and data mining is a large focus for you guys. Eckes: It very much is. Currently we have about four petabytes of data that we’re growing at well over 150 percent annually. Every organization is struggling with how do you manage the cost of such data growth. You start looking at areas like genomics and the amount of storage running a genomic sequence takes. Our genomics work could result in us utilizing multiple petabytes of storage annually, and so coming up with creative solutions where we can tier the storage costs and the speed of things and make it efficient for everyone is so important. And the other I actually just did a talk on a couple of weeks ago. As the landscape of healthcare changes and we have organizations that go through mergers and acquisitions and networks of shared services, the needs from a computing standpoint are going to change. I spent 13 years in financial services, and we had seen it where you bring organizations together and now you have decisions to make on redundant systems; for most of those systems, you still have to keep the data around. And so finding ways to cost-effectively archive old system data is going to become a bigger and bigger issue for organizations. We have 739 applications across our enterprise right now. A significant amount of those are up and running just because we need to have access to the data from a regulation standpoint. Gamble: That is so much when you think of that many applications. It’s pretty amazing. Eckes: Yeah. We have a project we call Project Sunset where we are migrating to a centralized XML database format. Basically, for lack of a better term, we’re sucking all the data into this database from our legacy systems and putting in a web frontend for viewing the data. Gamble: Right. Now with so many things going on — so many big projects — is prioritization a challenge for you? I’m hearing about all the things you’re working on, and I can imagine it’s tough to decide what needs to go on the back burner. Eckes: I don’t think anybody can ever say that prioritization is done perfectly, but I have to say that I’m blessed in this enterprise for having very active partners across the enterprise. We have designed a governance structure here that is chaired by leaders across the medical center. We actually have 12 different advisory councils, which sounds like a lot, but actually it works very well to have those advisory councils prioritizing based upon their unique areas. And then we have a group that sits over them that is multifunctional, and the chair of each advisory council sits on that. Any time there are conflicts where maybe a project cuts across multiple advisory councils, it gets escalated to that group. They really keep us in check on ensuring that ITS’ priorities are aligned to the most important things to the medical center. The other thing that we’ve done — and I came here at the perfect time; we were just beginning the budgeting process here — is that the advisory councils and our executive team came up with a top 13 list of our key strategic priorities for fiscal year 15. I’ve shared a number of our large strategic initiatives. Those are all items on that list. We’re able to protect those while we deal with the constant changes on a regular basis with just operational needs. Gamble: And having that many councils it’s not a case of too many chefs in the kitchen? Eckes: No, because one of the things we’ve done from a design standpoint is our organizational structure in ITS is aligned to those councils. I’ll give you an example. We have a council that is focused on revenue cycle management and access. We have the 10 key business leaders that sit on that council, and on the backside of it, we have one ITS director that has responsibility for all rev cycle and access systems. She has a discrete team that is focused on those systems. Essentially, her business area customers are prioritizing the work for her staff. Gamble: What was it that drew you to this position and to Wake Forest as an organization? Eckes: Number 1 was the opportunity in this area. 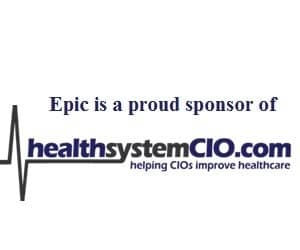 With population health management and the concept of world two, we’re at the early end of the hype cycle, and I felt this was a great opportunity to be a leader and be part of a leadership group in this space and be able to do some highly innovative things that could help lead the industry. So that was attractive — the concept of this being a very reputable academic medical center and school of medicine was an attraction. Given my background, I have some affinity to folks that have a very strong cancer program, and I really like helping to come up with solutions to change the face of cancer. We have a very robust cancer program. In fact, we’re rated number 1 in the state of North Carolina for our cancer program, so that was a draw. But I would say probably the most important draw here was the people. The hospital team as well as the ITS team are just super hardworking individuals, really focused on improving the care of patients and providing quality. This is a fairly isolated community. It’s a city of about 244,000 folks with a lot of small towns wrapped around us that we outreach to. Having 14,000 of our residents as employees here, we all know that the care that we’re providing is for our own families and our neighbors and friends in the area. It really is a special balance here that drew me to this area and makes me really excited to be here. Gamble: It sounds like you’ve really been able to take on that leadership role as CIO to take it and run with it and really establish yourself with the organization. Eckes: Yeah and I think that’s to the credit, though, of my team. If you look at our executive team here, we have a very visionary CEO that believes in innovation and what ITS innovation could do to the enterprise. From a strategy and network development standpoint, we know how important IT is there, and our executive vice-president of strategy knows how to leverage IT to really push us to a new level. Our president and head of operations relies on us enabling her clinical operations with technology and is embracing of it. And then finally from a finance standpoint, our CFO is bound at the hip with us and knows that we can reduce the cost associated with normal operational processes in the medical center if IT is embraced correctly. I should mention also in the academic side, our dean has an IT bent to him as well where he sees this huge opportunity to blend clinical research aspects down to the bedside. It’s pretty rare that you get such focused leaders and such a tight embrace of IT into the business that I feel really blessed, and it makes me very excited to be part of that team because we’re all so very aligned. Gamble: You guys are really doing some very innovative and interesting work there. I’d definitely like to catch up with you again down the road because it seems like in just a small amount of time we’ll have even more to talk about. Eckes: I sure hope so. Gamble: All right, thank you so much for your time. I really appreciate it and it’s been really great to hear about everything that you guys are doing at Wake Forest. Eckes: Thanks, Kate. I appreciate the opportunity. Gamble: All right and best of luck to you. Gamble: Okay, thank you. You too.